Note that these issues are deluxe limited editions. Standard retail versions will follow in 2019. To commemorate the recording of Soft Cell's "Say Hello, Wave Goodbye" show at the O2 in London on 30th September 2018, "Live Here Now" are making available a very limited number of 4xLP signed test pressing sets (15 sets in total from Lexer Music). 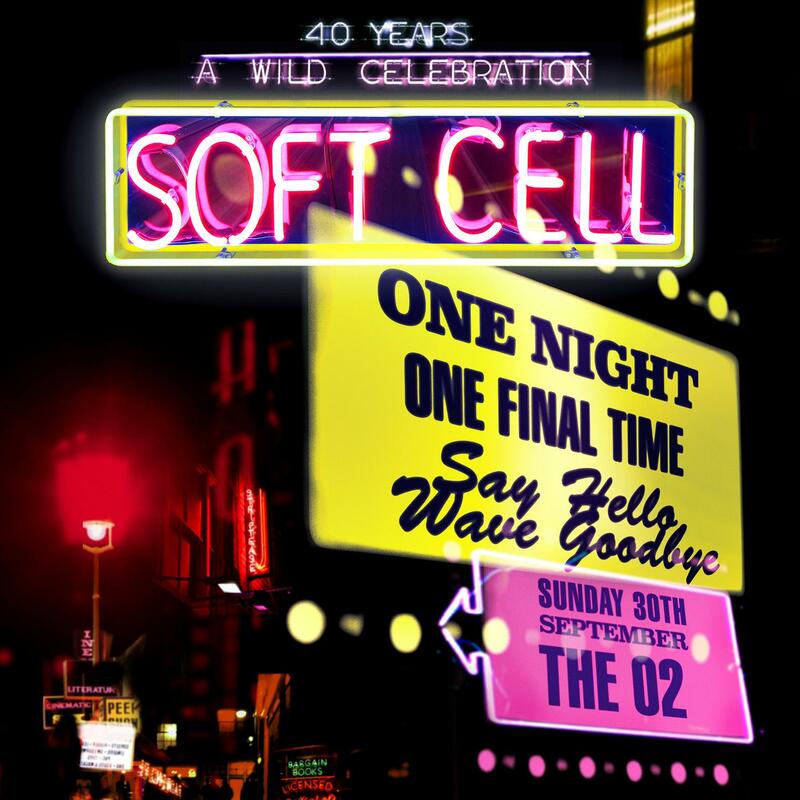 "Soft Cell - Say Hello Wave Goodbye: The O2 London", is out Friday, 26th July 2019 on "Live Here Now" and available for pre-order now. Note that the release date is subject to change. The artwork (might be a plain white sleeve) is subject to change and the image shown is indicative of the 4xLP only.